10:45 p.m.- hearing concludes at end of 8th grade. Rest of Social Studies will be taken up tomorrow. And we’ll be here. 10:33 p.m. – SBOE Member Dunbar gets right to work: John Locke, William Blackstone added to Grade 8. 10:15 p.m. Wealth of Nations book, added. 9:58 p.m. SBOE Member Cynthia Dunbar is now in the room. She appears to have had a schedule conflict over the past two days. 9:10 – Grade 6. Terri Leo brings amendment to go back to original list of holidays: Christmas, Easter, Ramadan, Yom Kippur, Rosh Hashanah. Would mean Vaisakhi and the annual hajj. Amendment fails. New list of holidays. Christmas, Easter, Ramadan, Yom Kippur, Rosh Hoshanah, Vaisakhi, Diwali, and the annual hajj. 7:17 p.m. Describe the significance of the Second Great Awakening. SBOE Member Cargill brings the motion. Voted down. 6:50 p.m. – Grade 5, Discussion over Declaration of Independence. Thomas Paine, Sons of Liberty sought to be added. Motivations of Founding Fathers. Approved. Thomas Paine doesn’t make the cut, but he’s still in Grade 8. 5:54 p.m. Justice Raul A. Gonzalez is added to Grade 4. 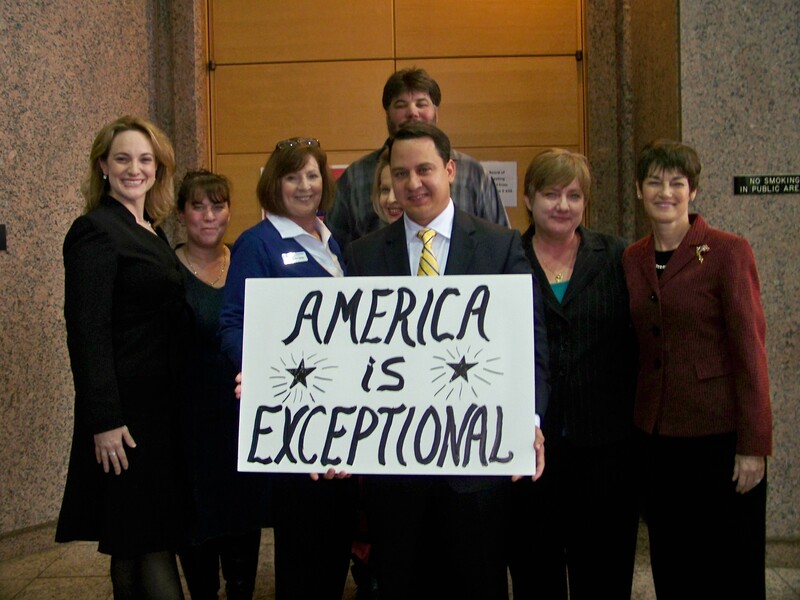 See below for our part in the America is Exceptional Press Conference yesterday. 5:38 p.m. Grade 3. Agosto asks to put Henry Cisneros back (he was removed by writing teams). Hardy objects to him, his role as HUD director led to housing debacle, according to her. Amendment fails, Cisneros stays out. 5:27 p.m. Sam Walton is added in grade 3, section 8(C). Milton Hershey also added. 5:14 p.m. James A. Lovell, pilot of Apollo 13, added by SBOE Member Mercer, others. And Juliet Gordon Lowe. Ellen Ochoa, first Hispanic astronaut, added. 4:45 p.m. Paul Revere goes back in, he was taken out. American love of individualism, inventiveness, and freedom is in. W.E. DuBois is in. 4:22 p.m. SBOE Member Mercer-add Nathan Hale to grade 1. Passes. Hardy objects. 3:50 p.m. Social Studies debate and vote has started. Columbus getting some love, and John Smith. Added to Kindergarten grade, barely. SBOE Members, Nunez, Berlanga, Allen, and Knight voted against, at least. Couldn’t see the other hands against. Jose Antonio Navarro also gets added to Kindergarten, with no objections. Richard Alleen added to Grade 1, no objections. SBOE Member Pat Hardy wants to strike the words “holding public officials to their word.” SBOE Member Bob Craig is also against this phrase. Reminds me of when he made rude comments about the 10,000 plus people that called on SBOE members to prevent censorship in the Science classrooms. SBOE Member Allen opposes the phrase. SBOE Member Miller supports the phrase. 3:25 p.m. Social Studies debate and Vote about to begin. Democratic Republic is how our government will be described. Grades 3-12, Celebrate Freedom Week information will be the same in all grades. Specific Reading selections are removed from all grades, not just some. We’ll be providing live blog updates for the State Board of Education meeting today when they vote on important Social Studies issues. Austin Liberals Are DESPARATE! THEY HAD TO GO ALL THE WAY TO OREGON TO FIND AN “ACADEMIC” THAT AGREED WITH THEIR ATTEMPTS TO CENSOR RELIGIOUS HERITAGE AND FACTS IN HISTORY, GOVERNMENT AND CULTURE. See yesterday’s blog post from hearing for details. 2:45 p.m. SBOE is still not on the Social Studies issue. Stay tuned! 1:05- SBOE is still on another issue. Should get to Social Studies soon. 11:05 a.m. The SBOE is taking up other unrelated issues at this point, but should get to the Social Studies issue soon! Mary Kay Ash in one place as she is mentioned more often than Christopher Columbus. ● Christopher Columbus-Grade 3, page 21. Columbus needs to be added back in one section. ● Columbus Day does remain: Grade 5, page 45. ● Return of Significant Figures Such as Neil Armstrong and George Patton Should Remain. ● U.S. “expansion” has been changed to “imperialism”. It should be changed back to “expansionism”. U.S. History section 3(A). * Keep Christmas in list of holidays. (was taken out by appointed committee in July 2009 draft, but put back in by appointed committee, not SBOE, after public outcry. Will Christmas stay or go? Will the Founding Fathers be given the respect they deserve? Will Columbus be buried in a lone corner of the curriculum? 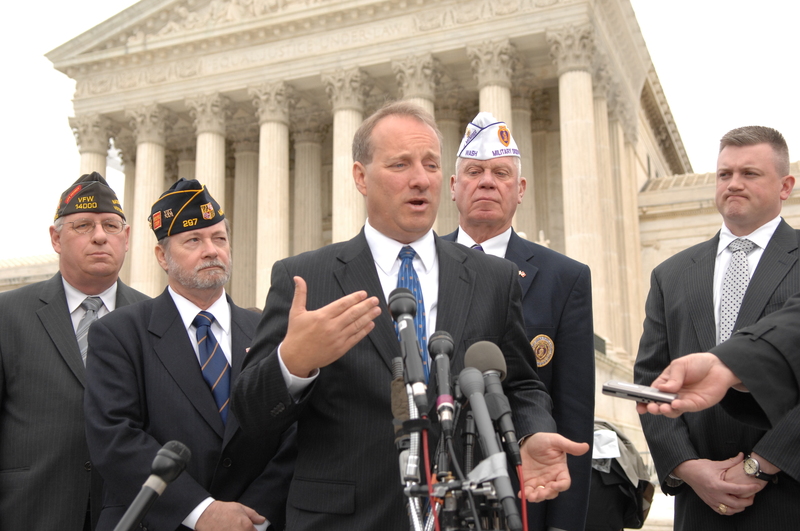 Will the effort to remove Veterans Day be stopped once and for all. Will teaching about our state and national religious heritage be changed? And much more! Just a few questions that could receive more clear answers next week at the State Board of Education hearing & VOTE on all of the statewide Social Studies curriculum for K-12, next Wednesday. This hearing and VOTE will affect every public school student. SIGN OUR PETITION!!! (Click link for petition) http://www.christmastextbooks.com/ Don’t Mess With Christmas in Texas!! We will deliver the petition results and numbers to the SBOE members next week. After months of discussion……………..THE SBOE WILL VOTE ON THESE ISSUES NEXT WEEK!! We need educators (former and current) and parents, and others to come testify with us at the hearing! This Friday from 8 a.m. and 5 p.m., you can call 512-463-9581 or fax: 512-936-4319 to have your name on the testimony list for the Wednesday, January 13th hearing at the TEA building, here in Austin. See Details below. Click here to DOWNLOAD & SIGN THE PETITION! Petition against TCHD property tax-funded abortions Fill up the the petition and send it back to us by Wednesday, Dec. 9th; FAX to: 512-478-2229. The Travis County Health District will meet this week, Thursday, December 10th, at 5:00 p.m., to have a public hearing, only to discuss and vote on $450,000 of taxpayer dollars to pay for abortions. We also have reason to believe that Planned Parenthood will be seeking a portion of this money. See more details from the last hearing on this by clicking here. STAND WITH US & STOP THIS IRRESPONSIBLE SPENDING: Call the Travis County Health District (512-978-8000) and tell them you don’t want your tax dollars to be used to pay for abortions. If you live in the Travis County area or know people that do, PLEASE alert them to this problem! They TCHD will vote next week and you can rest assured they are being heavily influenced by the pro-abortion lobbyists and staff. Planned Parenthood had two persons there testifying IN FAVOR of tax dollars being used for abortions at the last TCHD meeting on this issue. Email us at legislative@freemarket.org if you would like to come to the hearing next week. We need your local support! We will be testifying ourselves, but we need a huge turnout from Travis county residents to also testify! We will help you prepare for the 1-3 minutes you will have to speak. Bible Curriculum Starts in Public Schools! Click below for more details about how we successfully fought off attacks by the ACLU and Austin Liberals to defend the well-established constitutional right to having Bible curriculum in public school. This link includes details about the new state law that went into effect this school year and how the ACLU agreed that a Bible can be used as a textbook in public schools!! They presuppose that one has some knowledge of the Bible and that knowledge will assist in a greater understanding of such literature. Arts – Painting of the Last Supper by Leonardo Da Vinci (considered “one of the most widely appreciated masterpieces in the world). The American School Board Journal reported in 1998 that 80% of the respondents to its poll favor teaching the Bible in public schools. 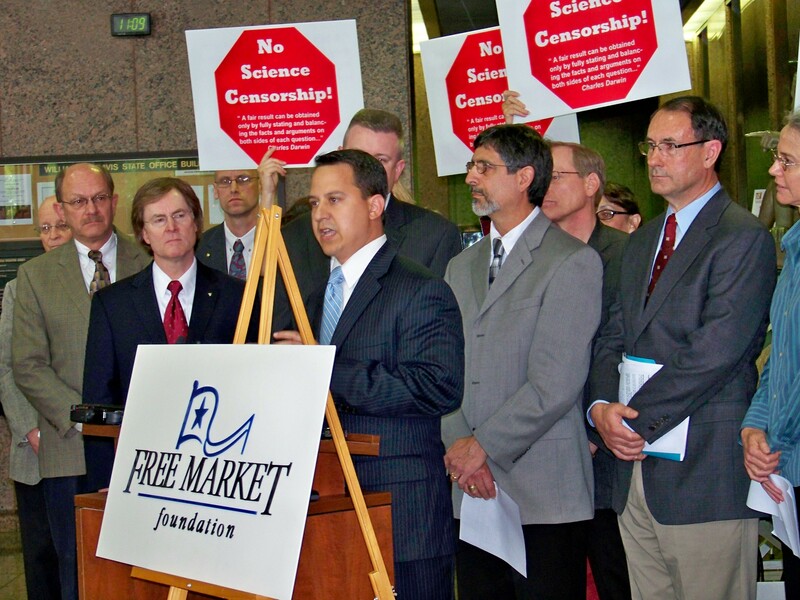 For more on Bible curriculum, visit http://www.freemarket.org/Legislature_Issues_BibleCurriculum.aspx.